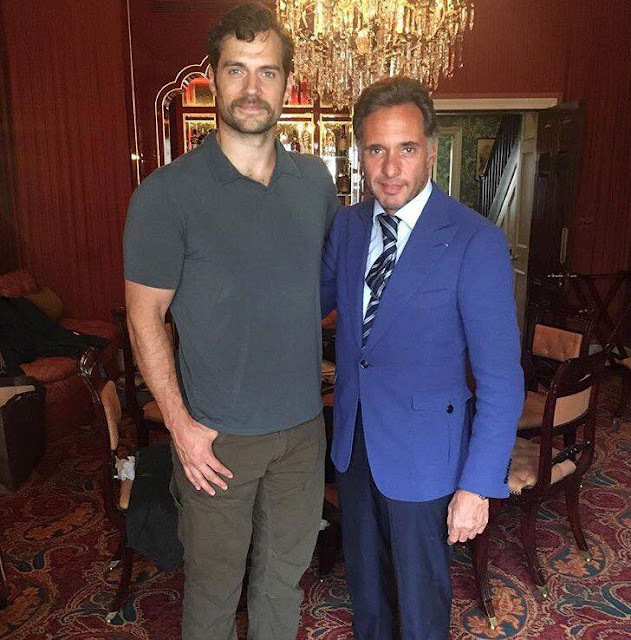 "Photo session after a great fitting of @cifonelli_official suits @marksclubmayfair with the amazing @henrycavill"
This is Massimo Cifonelli's latest pic with Henry in London, before Supes flew to China for the start of the Justice League press tour. The world-renowned tailor has been working with Henry since the summer to create his red carpet look. We can't wait to see what's next! Oh, very nice! You're a master of your craft, Mister Cifonelli. Love the pic. Beautiful! D.
'Justice League' Anticipation: One Month To Go! Last Day At NYCC: All About Superman!